These Cookies and Cream Stuffed Cookies are perfect for Valentine’s Day. 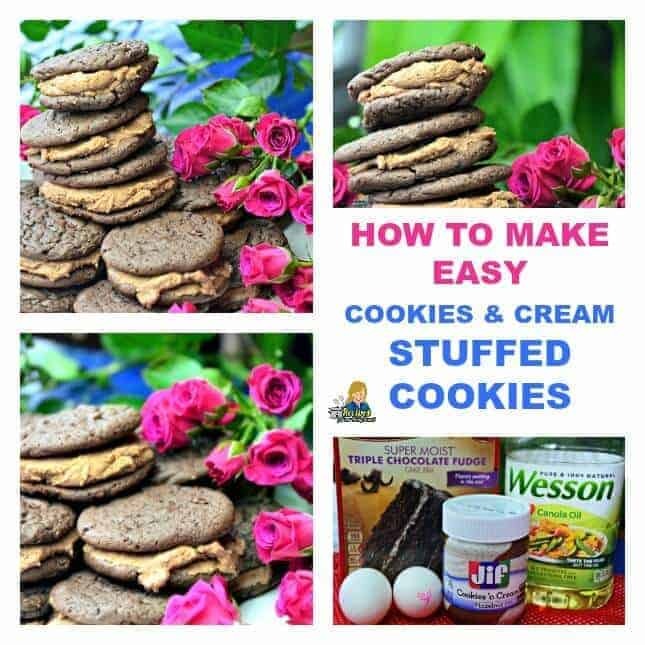 What do you need to make these Cookies and Cream Stuffed Cookies? 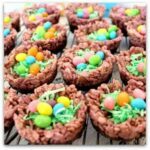 You only need six ingredients including a box of chocolate cake mix, vegetable oil, and two eggs. For the icing, you will need butter, confectioners’ sugar and a jar of Cookies ‘n Cream. Welcome, Everyone! My name is Diane Roark. I blog about easy everyday recipes that anyone can prepare at Recipes For Our Daily Bread. Today, I am sharing Cookies and Cream Stuffed Cookies. 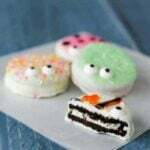 They are made using a cake mix and a jar of Cookies ‘N Cream. You cannot get any easier. Did you know you can purchase Cookies and Cream in a jar? After looking for peanut butter in the grocery store, I stumbled upon Cookies and Cream in a jar. I immediately thought about the cream filling in an Oreo. My favorite thing about an Oreo is when you peel the cream from the center of the cookie and enjoy all of it in your mouth at one time. My mouth is filled with sweet creamy goodness that slowly melts. I had the same experienced after tasting Cookies and Cream from a jar? After tasting the Cookie and Cream, it was also creamy goodness that melted in my mouth. It had little bits of delicious chocolate cookie mixed in too. A lot of cream with a little cookie just the way I love it. While at the store, I grabbed a couple of jars. One to eat as a dip or right out of the jar and one to use in these cookies. 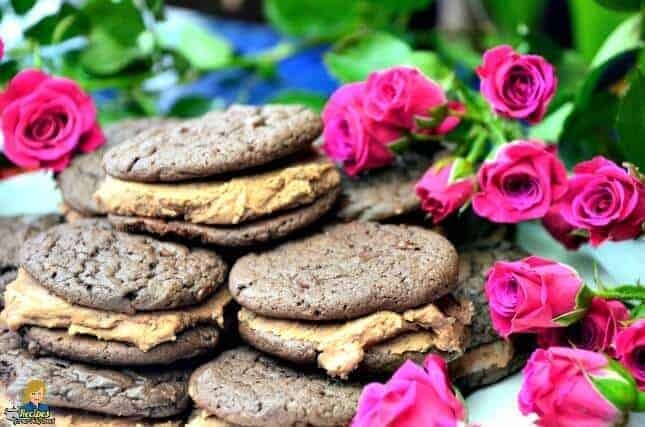 I knew right away it would be the perfect filling for these delicious chocolate cake mix cookies. You could simply use the Cookies and Cream to stuff these cookies, but I kicked it up a little bit. I mixed the Cookies and Cream with confectioners’ sugar and butter for a fantastic filling. Mix the cake mix, oil, and eggs. Drop on a baking sheet. I use a small ice cream scoop (1 TB size) and scoop the cookie dough onto parchment paper. Bake at 350 degrees for 10 minutes for one tablespoon size cookie. NO LONGER. Cool completely before adding the filling or the cookie will break. Use an electric mixer and cream the butter and Jiff Cookies & Creme. Slowly add the confectioner’s sugar. Top each half with another cookie.